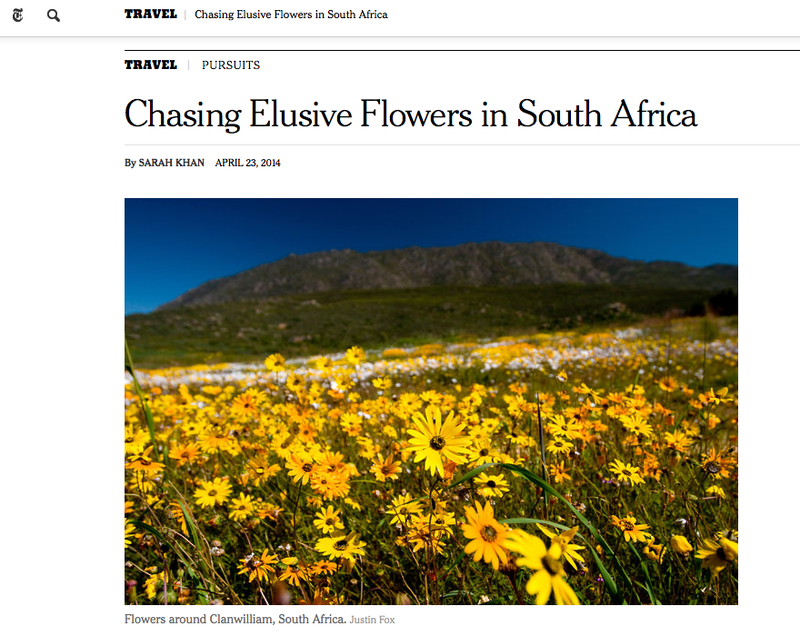 This weekend’s New York Times Travel section includes a full-page feature I reported last August that entailed me chasing flowers around South Africa. You read that right. For one weekend I became a compulsive flower-chaser. To understand why, unhealthy read the story here. (The piece is accompanied by beautiful flowers courtesy well-known South African travel writer and photographer Justin Fox). Namibia Road Trip Goes for the Gold! next → Where in the World Is Sarah Khan?